PAOK are trying to push through the transfers of Pontus Wernbloom and Teemu Pukki, but according to reports appearing in the media, the Dikefalos tou Vorra are encountering difficulties. Pontus Wernbloom, the 31-year Swedish defensive midfielder who allowed his CSKA Moscow contract to expire, is PAOK’s main transfer target of the summer after Yevhen Khacheridi was signed. Since it became known that Wernbloom was leaving CSKA, PAOK were the first team to jump in and try to pinch the Swede on a three-year deal, but he’s not willing to sign the contract just yet. While Wernbloom acknowledges PAOK’s efforts and isn’t against a move to Thessaloniki, he’s keen to weigh up his options before committing to the Greek Cup winners. In the coming days, Wernbloom is expected to make his final decision concerning where to continue his career, promising not to keep PAOK waiting. Having spent six successful years in Russia, Wernbloom boasts plenty of experience in Europe, holding the required tools to help PAOK perform successfully in the upcoming UEFA Champions League. Elsewhere, PAOK have a real fight on their hands if they are to acquire 28-year old Finn Teemu Pukki. Out of contract at Danish club Brondby, it’s already certain that the striker will leave Denmark, but it’s not clear which team he will opt to join. PAOK are showing real interest in Pukki, offering to pay him 800,000 euros a year in order to receive his services. Nevertheless, his agent recently announced that six other clubs are chasing Pukki, with two of them being Trabzonspor and Kayserispor from Turkey. As a result, PAOK are applying pressure on Pukki to try and convince him to sign, but Pukki doesn’t seem to be in a hurry and negotiations could go on for some time. Taking into account the unclear situation surrounding Pukki, the Dikefalos tou Vorra are scanning the market to see which forwards are available. First of all, PAOK are assessing Argentinian national Franco Soldano, currently on the books of Union Santa Fe. Soldano’s market value is rated at five million, but given Santa Fe’s dire financial state, 3.5 million will probably be enough to force the club into selling. In the 2017/2018 season, Soldano participated in 25 Primera Division matches, hitting the jackpot on ten occasions. Soldano has spent his entire senior career in his native Argentina. Another option is veteran Italian free-agent Alessio Cerci. After his contract expired at Hellas Verona, 30-year old Cerci is open to offers and PAOK are allegedly prepared to pay an annual salary of 1.2 million and gift him a three-year deal. However, in a similar tactic to Wernbloom and Pukki, forward Cerci has asked for more time to consider PAOK’s proposal. 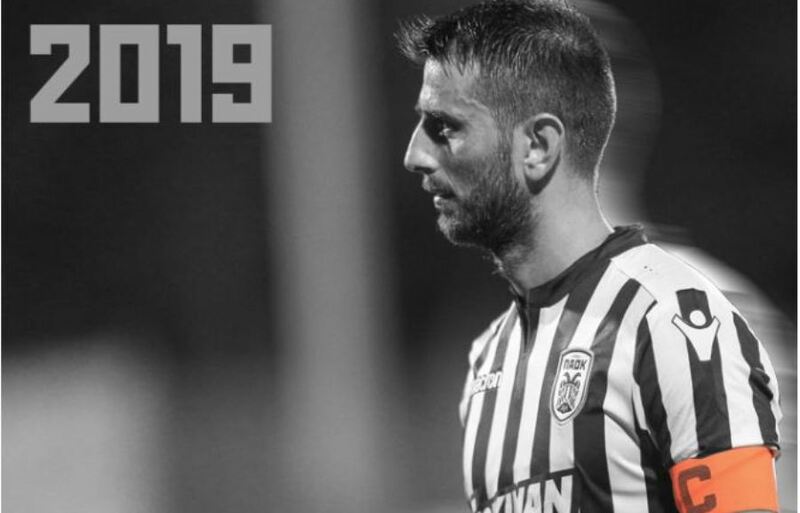 In other news, PAOK released an official statement to announce that centre-back Stelios Malezas has penned a new contract with the Thessaloniki club: “PAOK FC announces the renewal of captain Stelios Malezas’ contract for another year.” The ageing Malezas, now 33 years of age, was mainly used as a substitute in the campaign, but despite only making seven Super League appearances, he is considered PAOK’s leader and will stay with the team until at least summer 2019. The future of loanees such as Ergys Kace (Panathinaikos), Giannis Mystakidis (Panathinaikos), Pedro Henrique (Qarabag), Charis Charisis (Sint-Truiden) and Stelios Kitsiou (Sint-Truiden) is not set in stone. Talented Egyptian playmaker Amr Warda will likely be re-called to PAOK following a stunning season with Atromitos Athens, although he could be sold to ease PAOK’s worries on the amount of non-European Union players allowed in the roster.